Modders, rejoice! 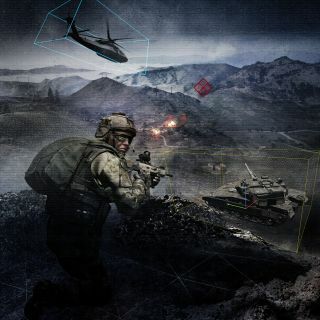 Arma 3 scenarios are now easier than ever to produce. The Eden editor has emerged from a long beta into general release, giving you the ability to edit in 3D and, you know, see what your tinkering does before you commit. For purists, Eden preserves the top-down functionality of the old editor, and better still, it preserves the functionality of old scenarios: everything is backwards-compatible. One of the more amusing changes is the addition of Undo/Redo buttons, which really didn't exist before, just like the asset search and filtering functionality that has been included. If you want to get meta, the Eden editor itself can be modded with custom plugins. The Eden update brings with it a new server browser embedded directly in the launcher, meaning no more main menu to get into a game and, more significantly, fewer limitations imposed by the engine itself. Filter options are more expansive as a result. It'll offer to automatically install missing mods as you join custom servers too. Arma's authentic audio has been enriched thanks to new distance-based samples of guns being shot and objects exploding, supported by a multi-channel amplitude panner for when you really want to feel the PTSD setting in. Finally, what might be my top understated patch note of all time: "Font – Process information more quickly with a new, easier-to-read in-game font." It's all in the details.